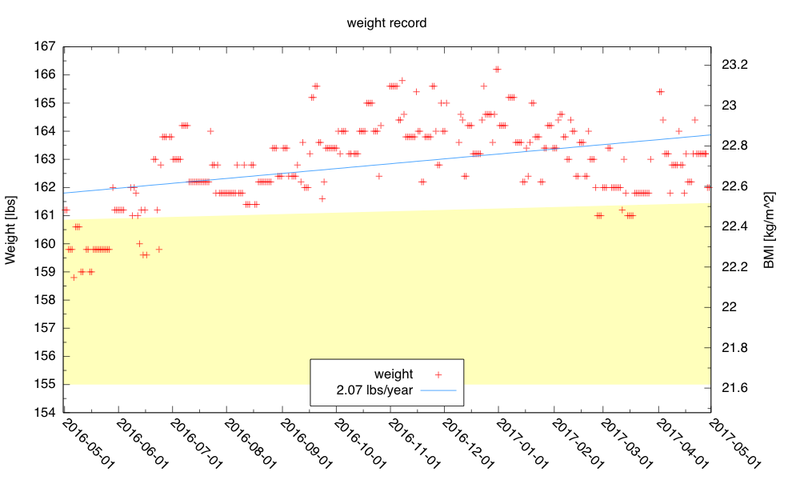 Although I had a few days in my target range in the middle of March, my weight spiked after that and has not come back down. 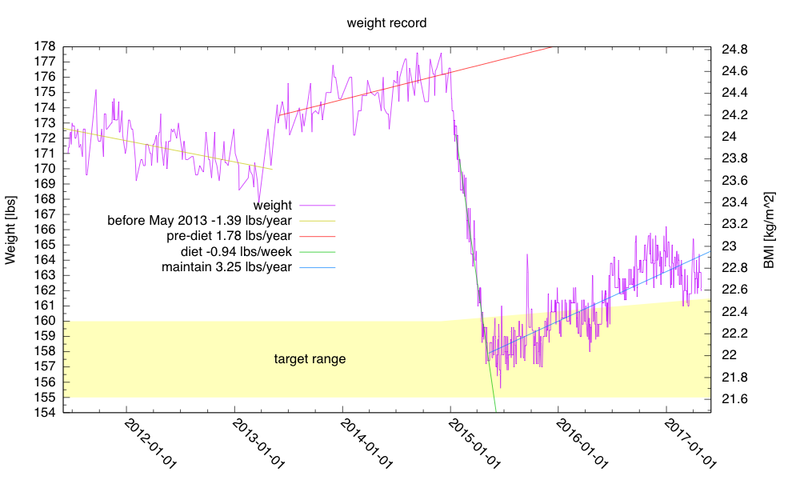 The longer-term trend is a bit disheartening, because it suggests that even if I’m fairly diligent about my current diet, I’m likely to be back where I started within four years. My goal for Spring quarter is still to get my weight back down to 158 lbs, another 6-pound loss, which seems a bit unlikely in the remaining 6 weeks, as I have not even been able to hold steady at a my mid-March weight, much less lose. My exercise for March and April 2017 was about 4.58 miles a day of bicycling, with a slightly higher pace going up hill than I usually use, though probably not enough difference to constitute more exercise, just somewhat faster exercise.